Surveys are no more boring. Period. 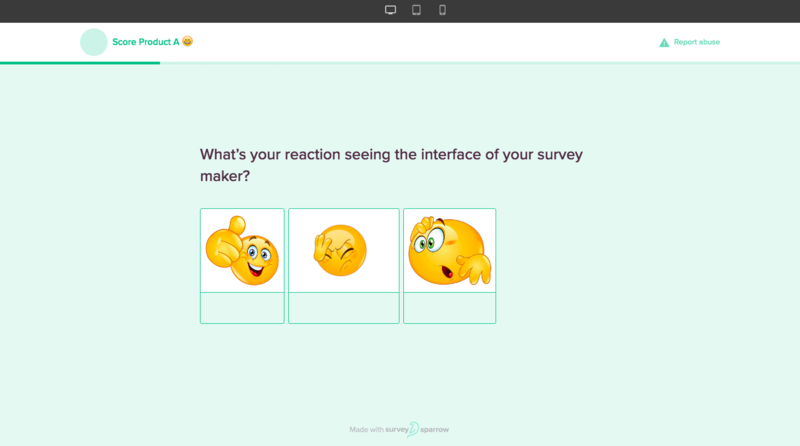 Your surveys can be smart & stunning at the same time; while conditional logic branching asks only the relevant questions making them smart, images, GIFs, emoticons and the like can make them cleverly creative. To add an image/ GIF or to insert an emoticon, click on the icons provided along the question. 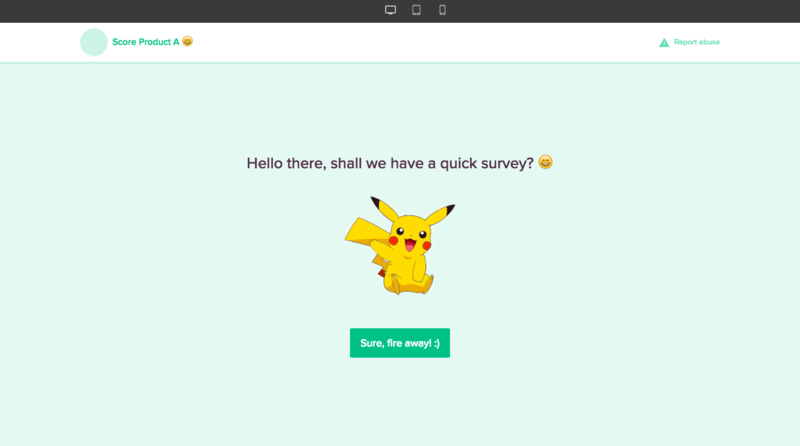 While a routine survey goes like 'Please take this survey' you can grab the attention of your audience by embedding a GIF in the welcome message. Say you wish to gather some feedback about your product. 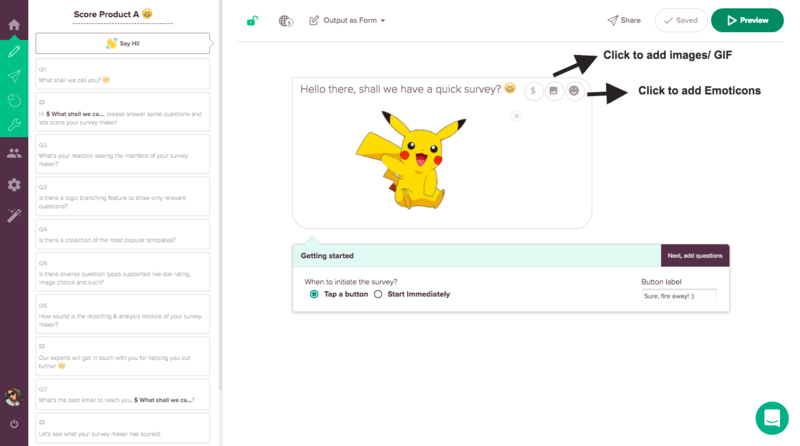 Instead of the standard Yes/No, you can add images in the multiple choice type and get more accurate answers and higher completion rates!